Led by Rui Hachimura, the Gonzaga Bulldogs are in a prime spot against BYU. Who else should you roll with on tonight's slate of games? College basketball season is back! And this year, with it comes the return of college basketball DFS. 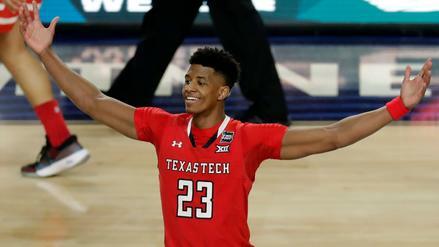 March Madness is still two months away, but you can get in all the college hoops hype by playing daily contests at FanDuel today. If you've played NBA DFS before, it's quite simple: pick a total of eight players -- four guards, three forwards and one utility spot you can use for either position. Stay within the $50,000 salary cap and field the team you think will score the most fantasy points. Where scoring differs from NBA is in the blocks and steals categories, with each worth two FanDuel points apiece rather than the three you get in daily NBA contests. Now that you're in the know, we can attack today's main slate, which locks at 7:00 p.m. EST and consists of eight games. BYU and fourth-ranked Gonzaga are expected to pile up the points in a monster high-scoring affair -- 166.5 over/under -- out in the West Coast Conference. Which players should you be targeting and why? Zach Norvell Jr., Gonzaga ($7,900): Going Zags-heavy is a real must for this eight-game slate. Not only is their slate-leading 90-point implied total super appealing, but there are a lot options to consider at both guard and forward. At guard, you could go with Brandon Clarke ($8,400) at a higher price, but his minutes have been down a bit upon the return of Killian Tillie (more on him shortly). Norvell is a better play below $8,000, and while he's played 24 or fewer minutes in two of the last four, those were in 18- and 59-point wins. Even still, the sophomore has averaged 28.6 FanDuel points per game and 0.96 per minute over the last four. In six conference games, his usage rate is up to 23.7% on his way to 12.7 points, 5.3 rebounds, 3.0 assists and 1.0 steals a game. Versus a BYU team ranked 205th in KenPom.com's adjusted defensive efficiency, he should have no problem maintaining his consistent fantasy production. Paul Scruggs, Xavier ($7,700): Xavier is a far cry from what they've been in years past under coach Chris Mack. They are 11-10 (3-5 in conference), rank 88th in adjusted efficiency margin and sit 164th in adjusted defensive efficiency. But lucky us, their opponent, Georgetown, isn't very good either. The Hoyas are five spots down in adjusted efficiency margin and nearly as bad defensively (129th). They are 2.5-point favorites on their home floor, but a 152.5 over/under leaves the Musketeers with a nice 75-point total. Without a doubt, Scruggs is the top guy on the board, averaging 25.7 FanDuel points and 13.3 points a game. However, his minutes are up to 37.6 in Big East play, which has helped to push his averages to 15.6 points and 29.0 FanDuel points over the last eight. Take advantage of the soft matchup in a probable low-ownership slot. Ethan Thompson, Oregon State ($7,000): The younger Thompson brother usually isn't the one we are targeting, but the 6'5" sophomore has to be on the radar for tonight's slate. Oregon State's 71-point total on the road isn't all that great, but this should be a close game, as shown by a one-point line in Colorado's favor. Thompson is averaging 13.5 points and 24.9 FanDuel points this year, and over his last seven -- all in Pac-12 play -- he is putting up 15.7 points and 28.1 FanDuel points across big minutes (36.4). The sharpshooting guard is in a good spot to maintain his hot streak versus a Buffs team that has allowed nearly 71 points a game in conference play and 75 or more in three of their last four. BJ Taylor, UCF ($6,400): Much like Xavier/Georgetown, Central Florida versus Connecticut is another lackluster game best kept to checking the box score the next day. Taylor and the Knights aren't great, but they remain 7.5-point favorites at home, and their 74 implied total is just above their season average. The senior guard owns the highest usage rate (26.0%) on the team, turning that opportunity into 23.5 FanDuel points a game. He's hit a rough patch of games, with four of his last six below 20. However, he's shooting just 37.2% in conference games after shooting 40.9% prior to the last seven. He's due for some regression in the scoring department tonight. Tarin Smith, Connecticut ($4,300): It's going to be an ugly one, yes, but there's value to be had on this UConn team. Guard Alterique Gilbert is trending towards out this evening, vacating 29.1 minutes, 10.5 shots and a 23.5% usage rate. As a result, Smith is in line for more run and looks at the basket, and at a very low cost at that. He's cheap enough to play in a low-scoring game with a low total (66.5) at UCF. And it's not just a shot in the dark; Smith has played 20-plus minutes in all but two games, averaging 8.3 points and 16.4 FanDuel points in 24.0 minutes per contest. Yoeli Childs, BYU ($8,700): Gonzaga's high total commands a ton of attention, but despite being 14-point underdogs they are third on the slate by implied total (76 points). There's no harm in rolling out players on both side of this one, which will be supported by two teams ranked in the top 60 in adjusted tempo. Childs is the no-brainer, sporting a monster 31.7% usage rate and averaging 38.4 FanDuel points on a per-game basis. His production has come against everyone, and that's a testament to his inside-out game (he averages a three a game) -- a skillset that should help keep him from a goose egg against a tough Gonzaga front. 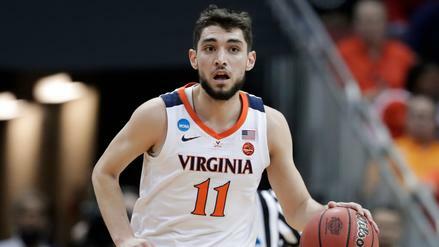 Let's give him the slight edge over Oregon State's Tres Tinkle ($8,800) as a result of the game flow, though Tinkle is a high-upside guy for tournaments. 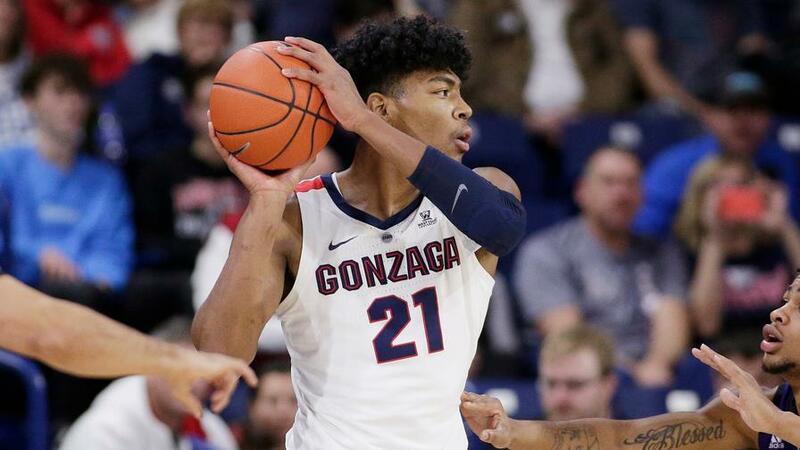 Rui Hachimura, Gonzaga ($8,200): At forward, Hachimua is the top Gonzaga player to target, averaging 31.3 FanDuel points with a 27.9% usage rate and a team-high 19.9 points per game on the year. His minutes are down in conference play, but he's maintained a high usage and has upped his player efficiency rating (PER) from 29.3 to 32.2. He's averaging over a FanDuel point per minute in six WCC games, and that should only act as a baseline given the Cougars' 49.3% rebounding rate (237th) and 77.8 points per game against (307th) this season. We could see Hachimura finish as the night's top scorer when all is said and done. Killian Tillie, Gonzaga ($5,600): When the calendar flipped from 2018 to 2019 the rich got richer out in Spokane. Junior Killian Tillie, after missing the first 15 games due to an ankle injury, made his season debut on January 5 and has since played in six contests for the Zags. He comes off a down game in which he tallied 11.4 FanDuel points in 24 minutes, but in the three games prior he averaged 26.0 FanDuel points in 21.3 minutes a night. That's just the same old, same old for the big man, as Tillie averaged 24.5 FanDuel points over 26.2 minutes a game in 2018. He's going to continue to get run off the bench, which bodes well for him as a value, particularly for a guy averaging 5.2 rebounds and 1.7 offensive rebounds, and boasting a 14.5% rebound rate versus a weak rebounding club. Ira Lee, Arizona ($5,300): There aren't a ton of injuries to consider and take advantage of, but big man Chase Jeter's status is in question for the Arizona Wildcats after not practicing Monday. We could get more news, but it's look like Jeter is doubtful after missing Saturday's game with the back ailment. Lee started and played 30 minutes in his absence, after logging 25 in the previous game to boot. He accounted for 24.9 and 21.9 FanDuel points, respectively, and all he needs is 21.2 to return four-times value tonight. Arizona State is outside the top 50 in defense and averages 3.5 additional possessions per game. The Wildcats' 69-point total is nothing to avoid, particularly at this pricing tier. Brett Oswalt is not a FanDuel employee. 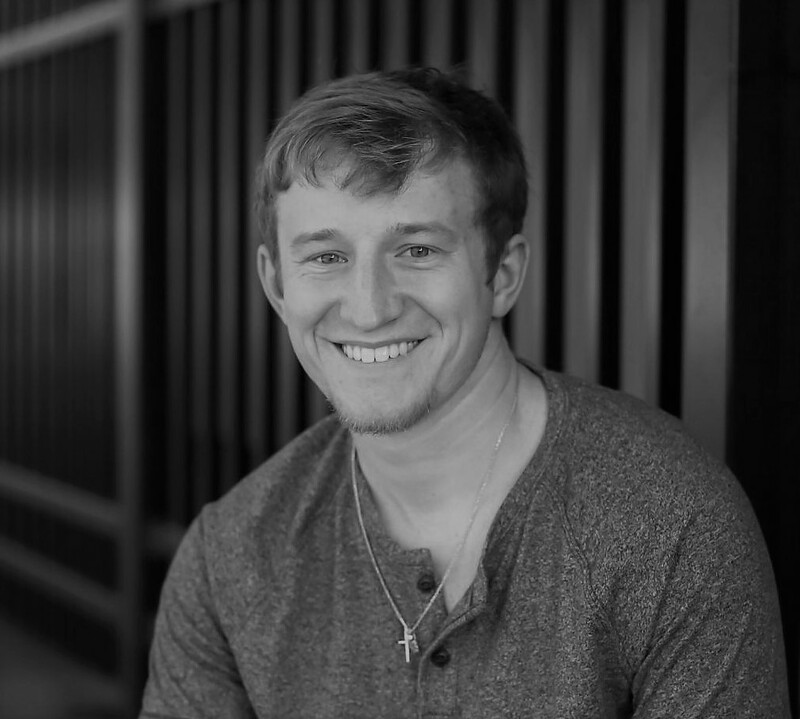 In addition to providing DFS gameplay advice, Brett Oswalt also participates in DFS contests on FanDuel using his personal account, username BRO14THEKID. While the strategies and player selections recommended in his articles are his personal views, he may deploy different strategies and player selections when entering contests with his personal account. The views expressed in his articles are the author's alone and do not necessarily reflect the views of FanDuel. 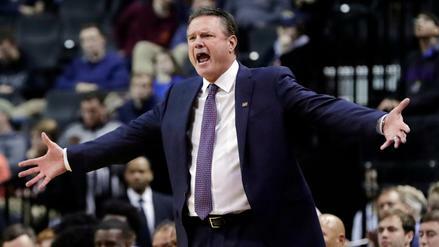 Is It Finally Time to Bet Against Kansas Winning the Big 12?